Change Your Mind About Fashion – Lovely.Multifaceted.Chic. Hello, fashion lovers and fashion admirers! If you’re new to my blog or have been rolling with me from day one, fashion is my thing. I love the artistry and creative expression of fashion. I like being able to express myself through what I wear. Fashion is very cathartic. However, I run into a lot of people who admire fashion but avoid allowing themselves the experience of feeling fantastic. Some feel that they don’t have the right body or are too old to feel great in what they are wearing. Some women don’t want to spend tons of money on clothes and others focus a majority of their time on their families. I would like to encourage you to try something different with your style. If you have more of a monotone colored wardrobe add an element of color that you wouldn’t typically use. If you’re not at a place where you cannot put money into your wardrobe, you can be creative in seeing how you can tweak what you already have by altering them. You could also have a clothing swap party with some friends and trade garments. YouTube has some great DIY projects for t-shirts and making clothes for those who are limited in our sewing abilities. 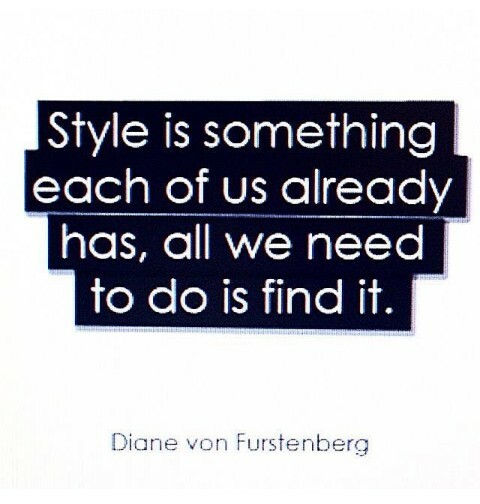 The beauty of having your style is that it’s yours. You don’t have to follow trends or shop high-end designer brands to look good and feel good. Change your mind about fashion and have fun with it. If you have any great tips, feel free to share in the comments section! Talk to you soon! Also, connect with me on Instagram @lovelymultifacetedchic and on Facebook.